In order to avoid overcrowding, or the likelihood of overcrowding, the Board of Burnside Primary School has adopted an enrolment scheme which has been approved by the Ministry of Education. Both sides of boundary roads are included unless stated otherwise. South on Witbrock Crescent to where Witbrock Crescent becomes Arlington Street (Including Annell Place). 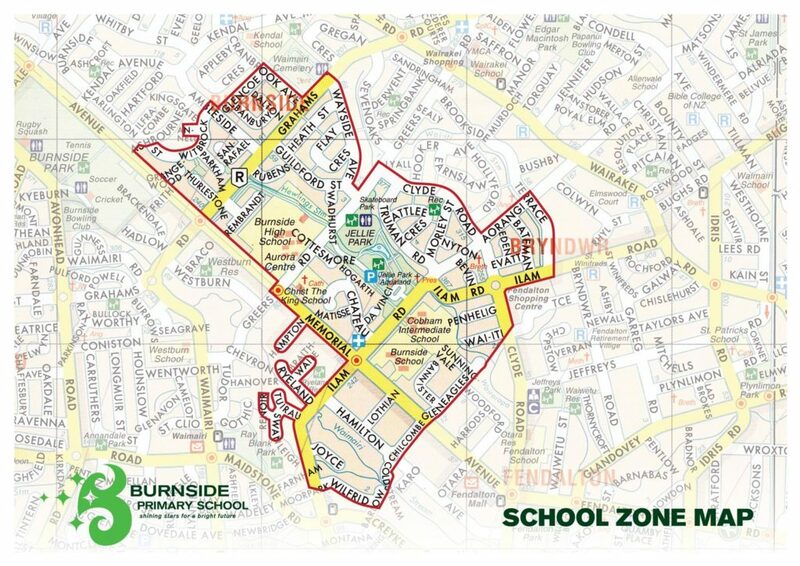 The enrolment scheme, which includes a precise description of the home zone, may be viewed at the school office where copies of the scheme are also available. Click to view the Enrolment Zone Map below.